Founded By Miami Condo Expert Peter Zalewski, CraneSpotters.com Is The Industry Source For The Most Comprehensive and Timely Information About New Condo Projects Announced East Of Interstate 95 In The Tricounty South Florida Region Of Miami-Dade, Broward And Palm Beach Since This Real Estate Cycle Began In 2011. CraneSpotters.com Shares Its Proprietary Research In A Variety Of Ways, Ranging From An Interactive Database To Weekly Bus Tours, Consulting Services To A Newsletter. Launched in August 2013, Cranespotters.com is South Florida's first interactive real estate website dedicated exclusively to collecting information necessary for analyzing preconstruction condo projects. Cranespotters.com is focused on all aspects of the preconstruction condo industry in the tricounty South Florida region of Miami-Dade, Broward, and Palm Beach. Cranespotters.com offers visitors a variety of services, including a realtime list of proposed towers, an interactive locator map - with a 3D option - to better understand the proposed towers, preconstruction news, searchable Preconstruction Condo Projects Database™ and weekly bus tours of the hottest markets. 2. What is the source of the information? CraneSpotters.com has a team of researchers that constantly gather information in a standardized way from public and private sources in hopes of always having the most current and accurate information on proposed condo towers east of Interstate 95 in South Florida. CraneSpotters.com maintains a list of the sources and the contact dates for all information collected on prices and incentives. We work diligently to ensure that all of the information on CraneSpotters.com is correct but we cannot guarantee or warrant the details as the preconstruction condo market is constantly changing. If you would like to provide information on a project, please send an email to Questions@CraneSpotters.com. 3. How do I see the information that is locked or hidden? CraneSpotters.com is a website that tracks 60 categories of information about every new condo project announced east of Interstate-95 in the tricounty South Florida region of Miami-Dade, Broward and Palm Beach. No registration is required to view basic information about each project. Users who do opt to register on CraneSpotters.com are granted free access to more than 20 percent of the condo project profile category information. Please note, a subscription grants user access to the realtime information in our internal database, which is constantly changing and not guaranteed or warranted. All of the condo project profile categories of information available to a subscriber are denoted by colored-coded locks that are displayed in the "Tile View" of the CraneSpotters.com website. All subscriptions are nonrefundable and/or prorated. For more information, please call 305-865-5859. 4. How can I start searching the South Florida Preconstruction Condo Projects Database™ today? 5. Is there a list of the proposed condo towers in South Florida? A partial list of all of the proposed condo projects in South Florida is available by selecting the List View of the Preconstruction Condo Projects Database™. To obtain a copy of our database in an Excel file, please contact CraneSpotters.com at 305-865-5859 for pricing. 6. How can I get more information on preconstruction condo projects in South Florida? 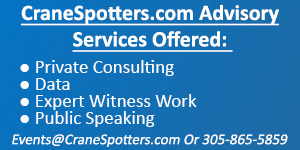 Disclaimer: A user (free or paid) of CraneSpotters.com agrees and accepts without recourse that this website is an online version of an internal database that tracks preconstruction condo projects announced east of Interstate 95 in the South Florida region. South Florida is defined as Miami-Dade, Broward, and Palm Beach counties. The tricounty region's seven largest coastal condo markets are Greater Downtown Miami, South Beach, Sunny Isles Beach, Hollywood Hallandale Beach, Downtown Fort Lauderdale and Beach, Boca Raton / Deerfield Beach, Downtown West Palm Beach and Palm Beach Island. A user agrees and accepts without recourse that many of these projects listed on the website are proposed, and are contingent upon a necessary number of presales, financing participation, and/or governmental approval. A variety of details about these projects, such as the number of units, floors, towers and general contractors can change prior to the formal completion of a proposed project. Every effort is being taken by CraneSpotters.com to ensure that this information is accurate and updated as timely as possible, however, the details cannot be guaranteed or warranted except by the developers. Subscribers to the CraneSpotters.com database agree, acknowledge and accept without recourse that changes are constantly occurring at the projects so the ultimate source for final details is the developer of a respective project. As a result, users of CraneSpotters.com agree to and accept without recourse that no refunds regardless of the subscription fees paid shall be requested of or granted by CraneSpotters.com. For more information, please contact CraneSpotters.com at 305-865-5859.